37x46x11 inches. My no-care aquarium. 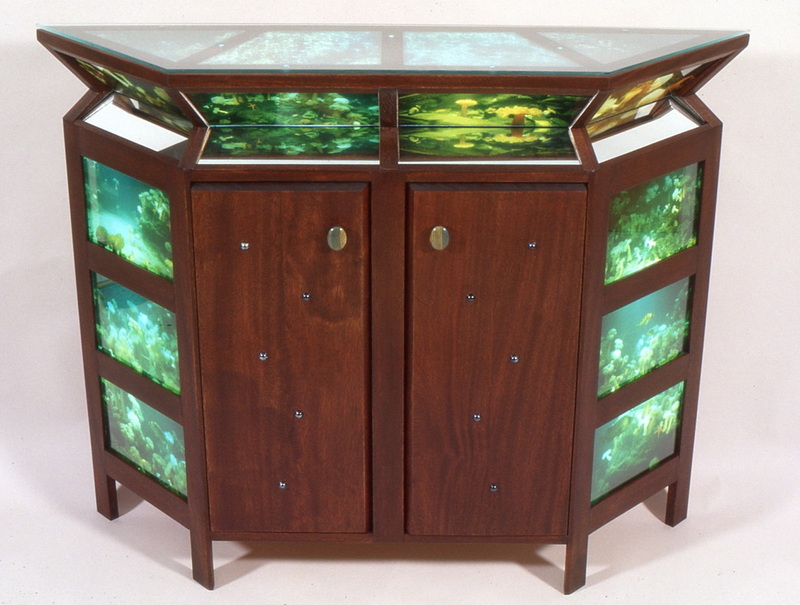 Made of mahogany with underwater photos in the sides and tidal pool photos on the top. Ocean picture jasper stone caps on the pulls and glass balls set into the doors representing rising bubbles.